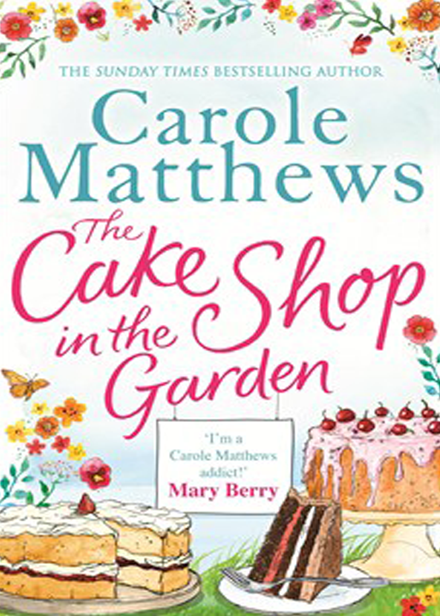 ‘The Cake Shop In The Garden’ is the latest book by Carole Matthews. Fay Merryweather runs her cake shop from her beautiful garden. She whips up airy sponges and scrumptious scones, while her customers enjoy the lovely blossoms and gorgeous blooms. Looking after the cake shop, the garden and her cantankerous mother means Fay is always busy but she accepts her responsibilities because if she doesn’t do all this, who will? Then Danny Wilde walks into her life and makes Fay question every decision she’s ever made. When a sudden tragedy strikes, Fay’s entire world is thrown off balance even further and she doesn’t know which way to turn. Can Fay find the strength to make a life-changing decision – even if it means giving up the thing she loves the most? Again Carole has treated us to another tremendous story, filled with dislikable characters, an Irish rogue and plenty of cakes, this book was a sweet treat that I found impossible to put down. The story is seen through the eyes of kind and gentle Fay Merryweather, who runs her tearoom, Fay’s Cakes from her own house. As well as running her tearoom, she is also her mother’s carer, who after having an accident has confined herself to bed and expects Fay to answer to her every call despite how busy the tearoom is. When Fay isn’t running after her mother, or listening to her sister’s tales of woe, she spends time with Anthony, her partner of ten years and even though through there is no ring on her finger, she enjoys her life just plodding along. But then handsome Danny sails into her life on his canal boat, Fay’s head is turned as the charming young Irish woman shows her a world beyond her tearooms walls and this is when we see Fay really come to life. I loved her Fay, I loved her warmth, her concern for others and how she always put others before herself. She never lost her temper with her mother even though she was constantly running her down, her sister Edie only called her when she wanted something, yet Fay was always there to pick up the pieces. I loved Danny with her cute little dog Diggery, who seemed to brighten her day, their moments together make for fun and sweet reading and a nice escape from the problems and dramas of life. This book is packed with great characters, the leads were heartwarming and relatable, but with the addition of Stan, a 93 year old war veteran who comes to the tearoom everyday claiming everything that is served is his favourite and regularly provides Fay with little nuggets of wisdom and Fay’s extremely outspoken Latvian assistant, who’s surly and never one to shy away from telling Fay exactly what she thinks, she injects an element of humour to the story that I found regularly giggling at. Written in Carole’s delicious style, with an unexpected twist, this book was a wonderful story from the very beginning. ‘The Cake Shop In The Garden’ is a charming story, packed with humour, the romance of canalboats and an adorable leading lady, the short and snappy chapters made this book a riveting read and the perfect escape from the dramas of life. You can buy The Cake Shop in the Garden from Amazon and is available to buy from good bookshops. With this pretty cover and gripping synopsis, I think this book sounds positively delicious! You can pre-order The Cake Shop in the Garden from Amazon and will be available from good bookshops from 9th April 2015. 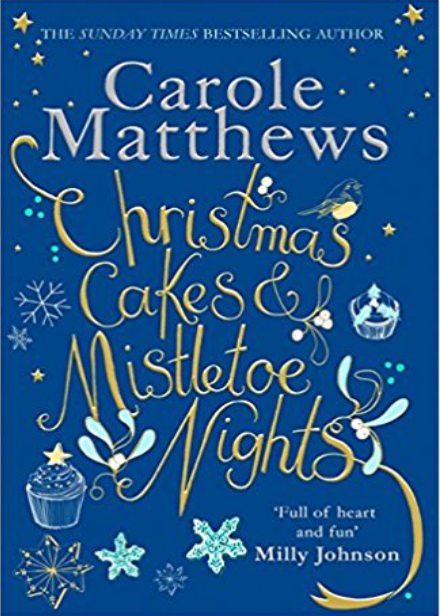 To celebrate 18 years of writing and 25 published books, Carole Matthews has a special treat for all her fans. She is releasing an exclusive free ebook collection of short stories called ‘The Silver Collection’ which also includes an extract from her brand new book ‘The Cake Shop In The Garden’ . The publication of my novel, ‘The Christmas Party’, has seen me celebrating a career that has spanned twenty-five books and eighteen years. Yet it seems like only yesterday when I had my first book, Let’s Meet at Platform 8, published. I’m so lucky to have an enthusiastic and devoted following of readers – some of who’ve stayed with me from the very beginning and some who are recent converts. Without you reading and enjoying my books, I would never have had the fabulous career I’ve been blessed with. We make a great team. 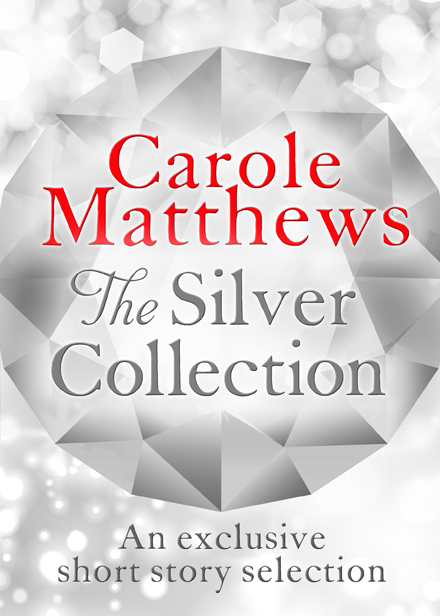 You can pre-order The Silver Collection from Amazon and will be available completely free from 19th December 2014.